The first race of 2018. 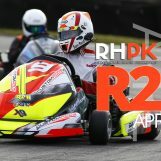 The RHPK Winter Cup. 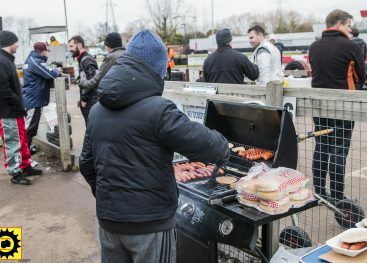 Gates opened on a very cold and frosty Saturday Morning – the weather forecast, set to rain in the afternoon. 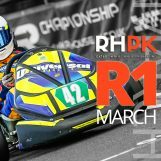 The Winter Cup is the first RHPK race of the year which is a completely standalone race. It does not count towards the 2018 Summer Series and is designed as a shakedown for new and regular teams before the start of the season. 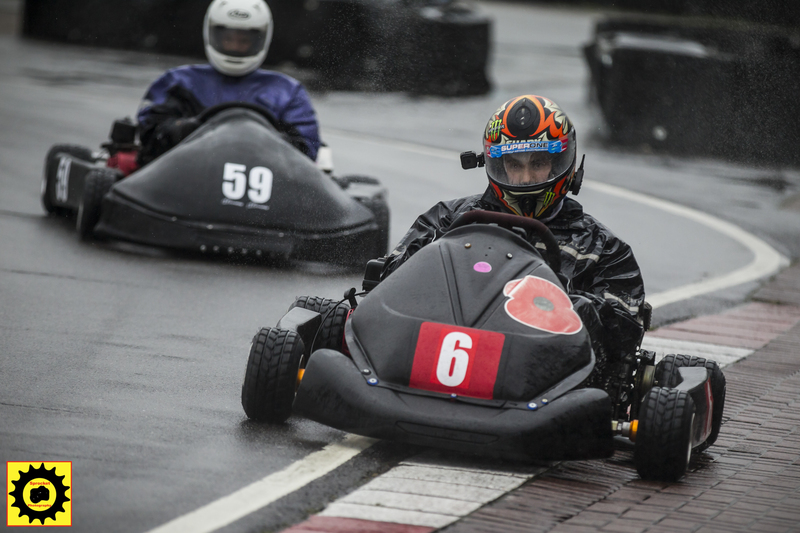 This year we welcomed back one lap qualifying, this time with a twist – on the corporate circuit layout. 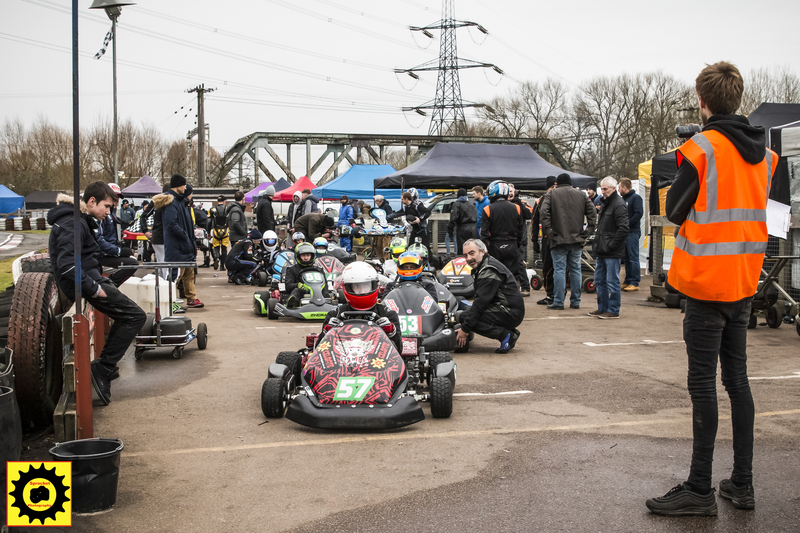 This month we welcomed a number of new or long returning teams, RobotsForLondon, DAD, Zingrae Racing and Wicks Racing. 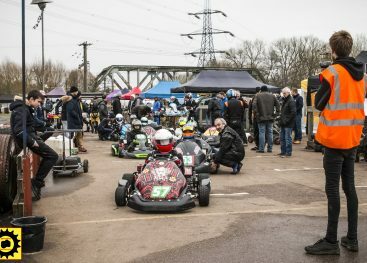 Despite a number of regulars holding off until the start of the summer season, we saw another all-time record for the Winter Cup, 24 karts were on the grid for both 2x 2-hour races. This year, one lap qualifying was back, with a twist – teams would use the cut through, known as the corporate circuit, missing out Hairpin 1. All teams were allowed a 15-minute practice during the morning session. 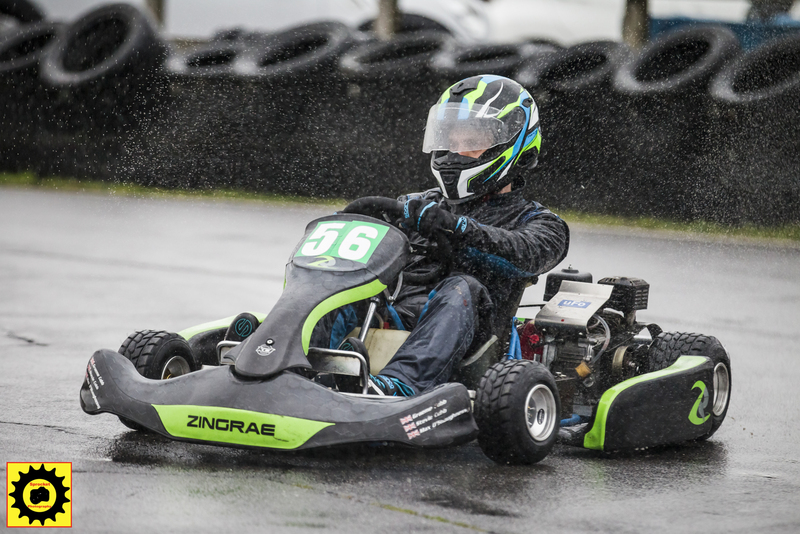 No out lap, no warming up tyres – straight out past the start finish and your lap commenced! The order was picked at random which would then go on to place them on the grid for race 2. Polish Lambo V2 was pole position for race two, however, this meant that they were first to go on track in qualifying! As Qualifying approached, a number of teams reacted to the bitterly cold conditions, as the slick tyres were next to useless before a number of laps – many teams opting qualify on wet tyres. Phil Lip from Polish Lambo set the initial pace, he put in a very impressive lap of 42.180, a lap which would go unchallenged for the rest of the session. JRH Racing was just less than 0.362 off of pole securing second place and a stunning lap for Pelam Racing who took third place with a laptime of 42.862 – their best qualifying result to date! Both favorites, Spectre and Lambo Racing who could only manage 4th and 5th place. As everyone was watching from the pit lane, March Racing completely missed the cut through by going through the tyres past the closed off 1st hairpin! This costly… and highly praised mistake, put the team down in 22nd place. 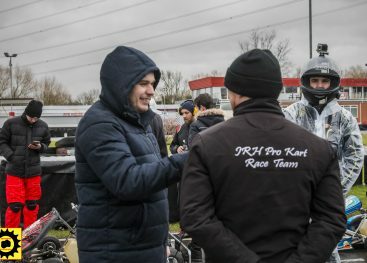 Nick Griggs from Burton Power Racing and Wayne Edwards from Universal Racing didn’t even make the first corner and planting their karts in the tyres! The track was starting to get slower, as the session progressed we started to see the promised rain. Team Eyrie put in an impressive time for 7th place overall, 3rd in class. Newly promoted JND Racing picked 24th place out of the hat, meaning that they would go last in qualifying, but also start dead last in race 2. 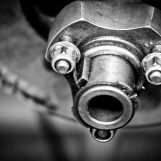 As their lap was about to start, disaster for the team as one of the engines failed to start – despite a number of attempts to get it going they had to complete their lap on just one engine! The forecast rain came down as Chris McCarthy conducted his fantastic grid walk. 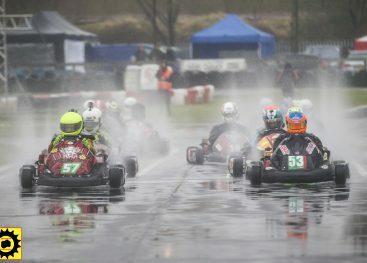 The track was completely wet leaving no other choice than all teams to opt for the wet weather tyre. 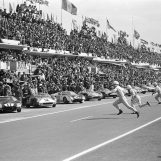 As the race started, it was Spectre Racing that took the lead after lap one. Polish Lambo V2 slipping down to 13th place. March Racing moving up to 14th place from their dire qualifying result. Team Eyrie Also is now leading Clubman and 4th overall to CSM Lambo. Lap 7 and Lambo make the move on JRH to take 2nd place. 6 seconds up the road in first are Spectre Racing. Team Eyrie Also leading Clubman to D.A.D by less than a tenth. 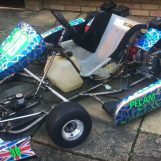 Pealm Racing move up another place to 13th after their poor start. 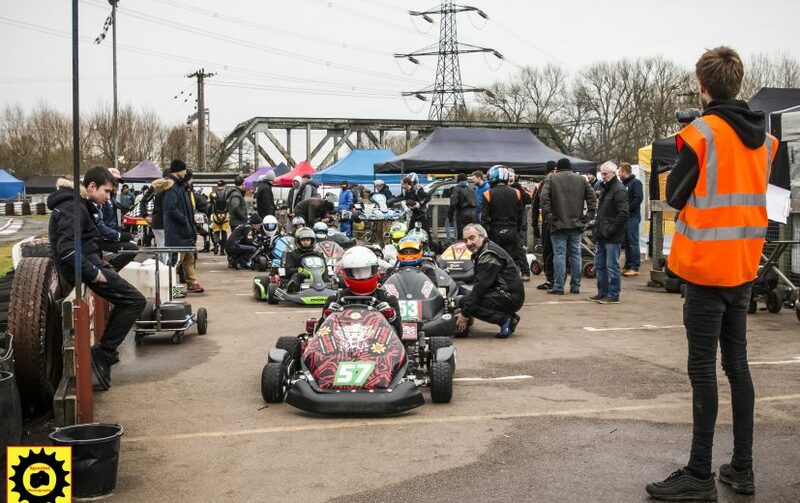 JND Racing move up to 7th overall – the newly promoted team moving up after their disastrous qualifying session. Lap 22 Lambo manage to take Spectre Racing for 1st place, Joe from Lambo Racing clearly on a charge. Disaster for Custom Rods as they have to retire due to a cracked chassis, removing them out of the running for the first race. Over the next few laps, Spectre and Lambo are locked into a fantastic battle for the lead, however, from lap 68 Lambo charges on ahead putting some space between him and Spectre. D.A.D. are now leading Clubman and a stunning 3rd place overall! CSM Lambo is 2nd in class followed by Team Eyrie Also. The long returning Wicks Racing is 10th in class, 18th overall and have just put in their fastest lap of the race. As the chequered flag drops Lambo Racing take a well deserved 1st place to Spectre Racing who are 46 seconds behind. GKD Racing take 3rd, the newly promoted clubman team JND Racing take a fantastic 4th place to JRH Racing who was just 5 seconds behind. 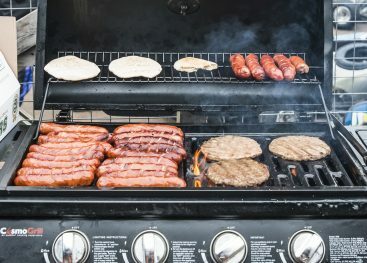 In Clubman D.A.D. Racing take an incredible first win! Euro Lambo takes 2nd place, the hard and charging Team Eyrie Also secure 3rd place. Artifex Racing was just 10 seconds down the track in 4th and rounding up the top 5 is Universal Racing despite qualifying at the back of the field! 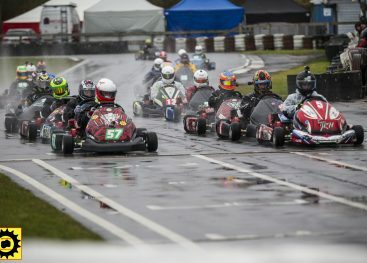 Race 2 started on a very wet track, after lap one, Custom Rods, who are on another chassis (Changed over in 20 minutes before the start of the second race) is in first place. DAD Racing the front-running clubman team is first in class and second overall. Lambo Racing is suffering from some intermittent engine issues, due to the rain is in 6th place. JRH Racing is up 8 places to 7th overall. Lap 7, Spectre Racing are back up to 2nd place, DAD still sitting in 3rd place and brand new Zingrae Racing are 2nd in class, 4th overall. Lap 17, more bad luck for Custom Rods who lose a wheel on the first hairpin forcing them to pit. The costly pit stop costs them 4 laps in the pits and is back out on lap 22. 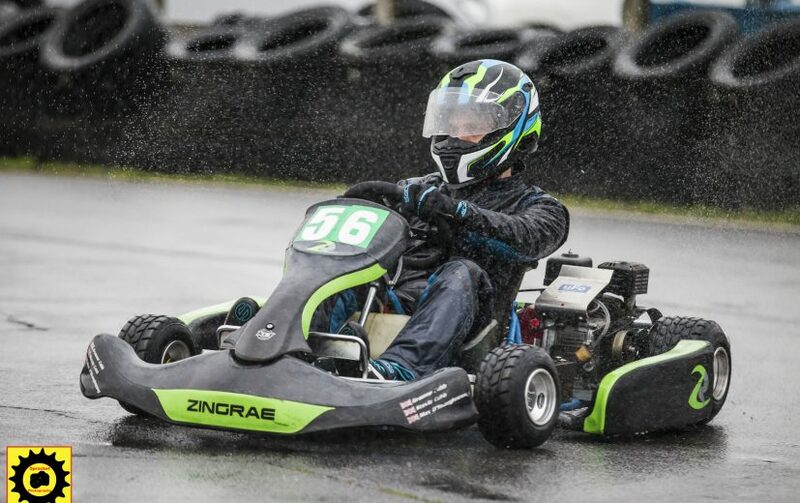 Spectre Racing are now leading to DAD Racing and JRH Racing. Polish Lambo is in 9th place overall, just in front of March Racing. Monkey Motorsport, formally Team CET take 15th as Euro Lambo pits. 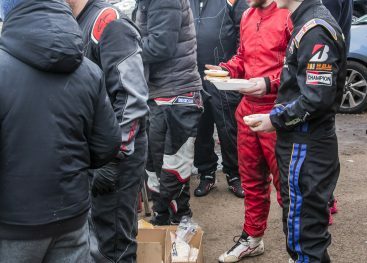 Custom Rods are on a charge, having already completed one stop, as teams come in to change drivers/fuel up the team are rising up the ranks. JRH Racing is now sitting in 2nd place on lap 63 with Zingrae Racing in 3rd, 1st in class. Lap 87, Custom Rods have chased down Spectre Racing for the lead, Spectre spins on the first hairpin, as a result, Custom Rods take the lead! The track falls into darkness and the chequered flag drops Custom Rods take a well-deserved win, Spectre Racing secures second just 4 seconds behind. GKD Racing 26 seconds behind Spectre in 3rd place. JRH Racing takes 4th place and JND Racing secure the last spot on the podium with a 5th. In Clubman, it’s Zingrae Racing who take the win! A fantastic debut for the team. CSM Lambo is just 12 seconds behind and takes 2nd. Monkey Motorsport take an incredible 3rd place – a well-deserved position for the newly named team! Universal Racing are 4th and Euro Lambo takes the last spot in 5th.